Georgia has sent its first troops to Afghanistan as part of the International Security Assistance Force to join NATO military operations against the Taliban. The Georgian company, made up of 170 troops, will serve under French command. After a farewell ceremony, the servicemen said goodbye to their families and were blessed by the church. Next spring hundreds more US-trained Georgian soldiers are set to leave for Afghanistan. 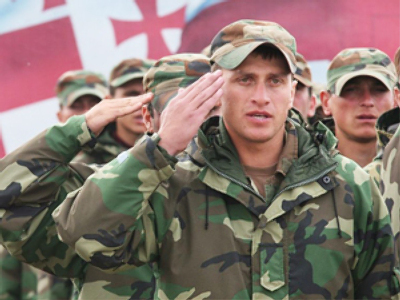 Georgia’s Defense Ministry said 725 Georgian troops would leave for Afghanistan in February. The purpose seems to be showing Georgia’s willingness to undertake any task to become a full-fledged NATO member. Tbilisi has been vying to join the North Atlantic military alliance for the past few years, but its membership was delayed following the bloody conflict in South Ossetia in August 2008. Georgia had previously deployed 2,000 troops to fight in the US-led coalition in Iraq.